Where we worked: 1922 — C.
City directories offer fine-grained looks at a city’s residents at short intervals. The 1922 Hill’s Wilson, N.C., directory reveals the types of work available to African-Americans during the booming tobacco era. This post is the third in an alphabetical series listing all “colored” directory entries for whom an occupation was listed. The address is the resident’s home, unless a business address is noted. 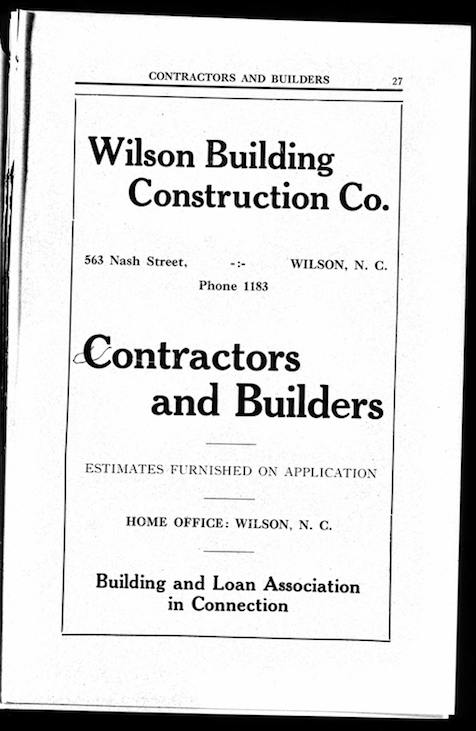 Who were W. Clyde and Josephine Crawford, and what was the Wilson Building Construction Company? The family is not found in a Wilson census record. 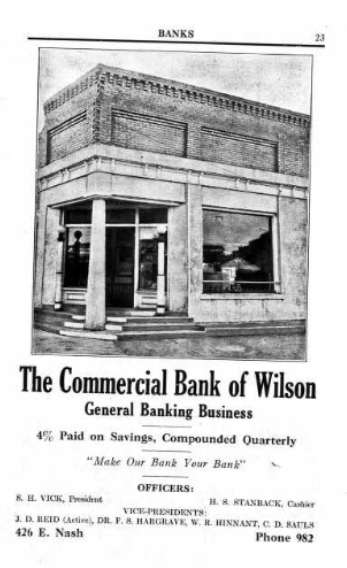 Page 27, Hill’s Wilson, N.C., City Directory 1922-23. ← Studio shots, no. 96: Amanda Edwards Mitchell.